I LOVE new kitchen appliances!! But I think Jesse felt badly because he looked at me and said, “well…I guess we can redo the kitchen.” I think it was a moment of weakness, because this morning he claims he doesn’t remember saying that…which doesn’t surprise me, Oh but I will remember. The wheels in my head were turning the minute we bought the house, it won’t be a redo as much as updates here and there, like the dishwasher we got a few months ago. 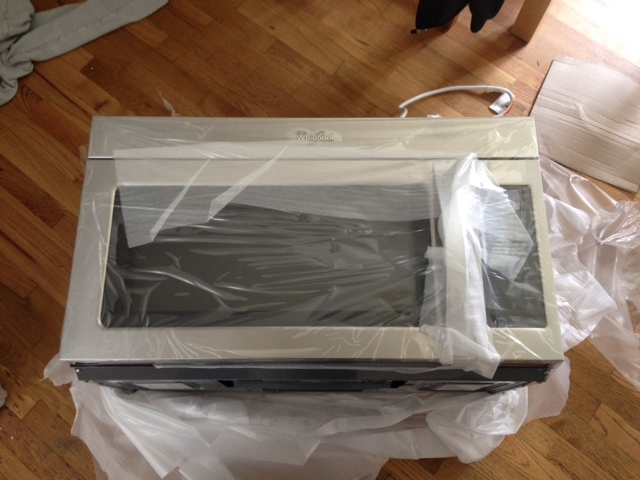 And obviously we can’t do anything for a while, but I was able to get a new microwave out of the whole thing! Not only did we pick out a nice stainless Whirlpool microwave, but I was also able to get him to go to the Green Depot to look at flooring options to replace the badly beaten up hardwood floors in the kitchen. The trick is to say that I just want to “see” the materials in person and “get ideas!” It turned out though that there was a small local brewery in the same complex, so it was a win/win! 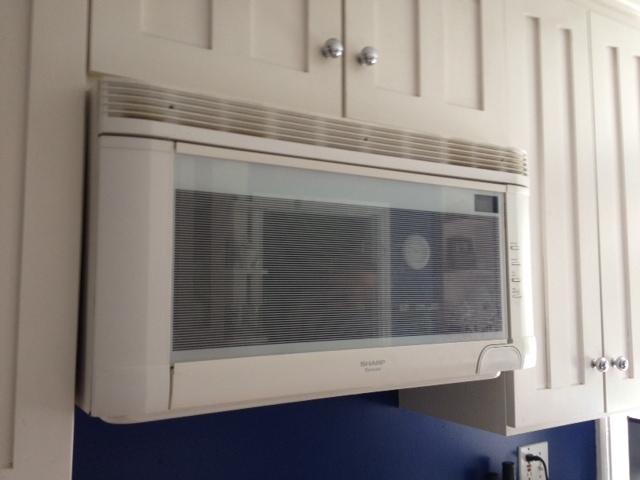 When we bought our house, it came with a microwave that only partially worked. Half of the buttons worked and the power worked, but the little screen did not. The only way we have been able to use it over the past 2 1/2 years has been to push the minute plus as many times as minutes needed. It was getting old and the buttons that did work were starting to stop. And then last week I was making dinner and turned on the fan. It would not turn off. I tried tricking the microwave by flipping the breaker, but it did not fall for that. As soon as I flipped the breaker back on, the fan came roaring back. Finally I gave up and unplugged it. Days later when I plugged it back in to reheat something, it was silent, but definitely on our replacement list. How embarrassing is this, I don’t know if I have ever cleaned off the grease that’s accumulated on the top or in the vents because I figured we’d have to replace it anyway. 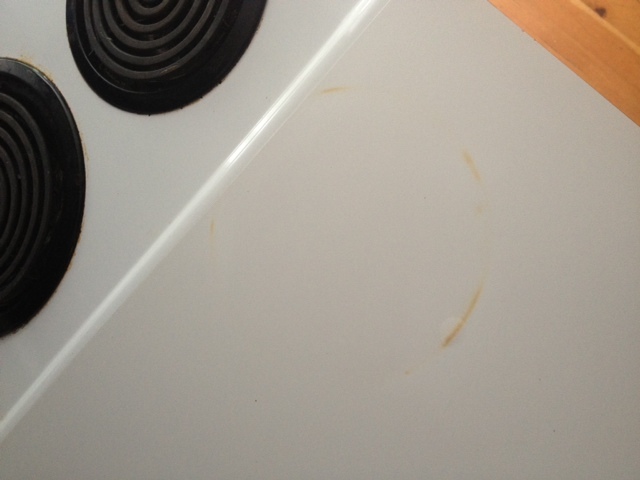 Half of my excitement was to just have a clean microwave! It was trickier to get out than either of us thought. After unscrewing the brackets from the top, it took us about 15 minutes of pulling and wiggling the microwave, from a very awkward angle, to realized that there were special springs located underneath that had to be pulled at the same time to release the microwave from the wall mounts. Then it came out pretty easily. 00 It wasn’t quite as dirty as I was expecting, most of the grease was on the old microwave. When we got home with the new microwave, I suggested that we just uninstall the old one on Sunday so I could clean up the area and we could install the new one Monday. But somehow, just like with the dishwasher install, we just powered through. It seemed easier than leaving a huge dirty mess in the middle of the kitchen. I’ll be honest, the install was a pain. 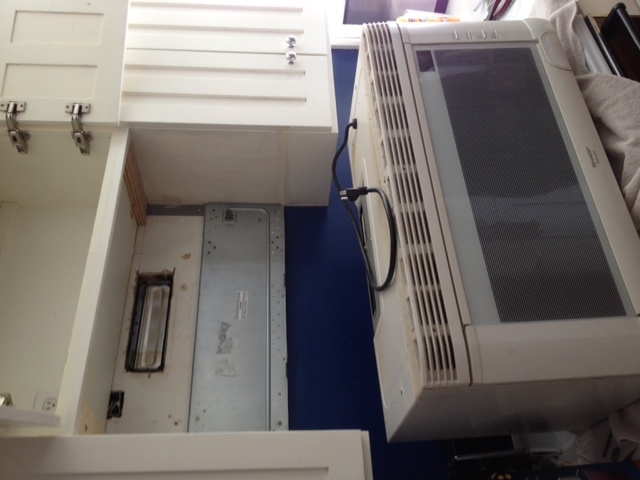 In my mind, we were just going to unscrew and slide out the old microwave and slide in the new one. 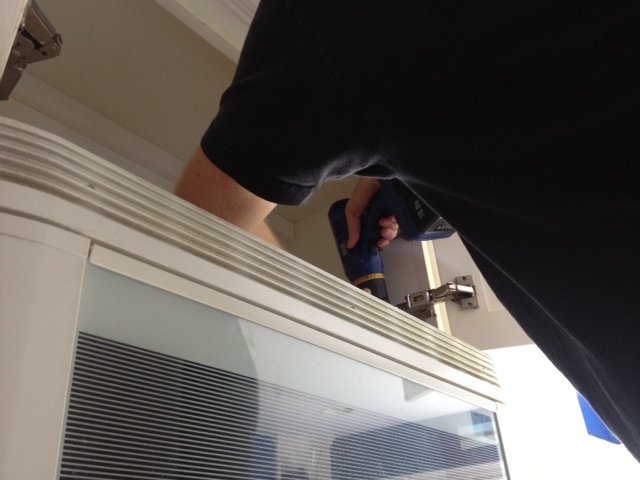 But we had to remove all the brackets and screws from the old mounting, and reposition them for the new one. The directions were a little hazy, but we were able to figure it out :) The lucky part though was that the exhaust fan was in the right location so we didn’t have to cut a new venting hole into the drywall…that would have been the worst!! And this is our new lovely addition to the kitchen! So far I have thoroughly enjoyed walking past it admiring it as I go. I think tonight we will have to pop a bag of popcorn for it’s inaugural use! Slowly we are updating to stainless steel. 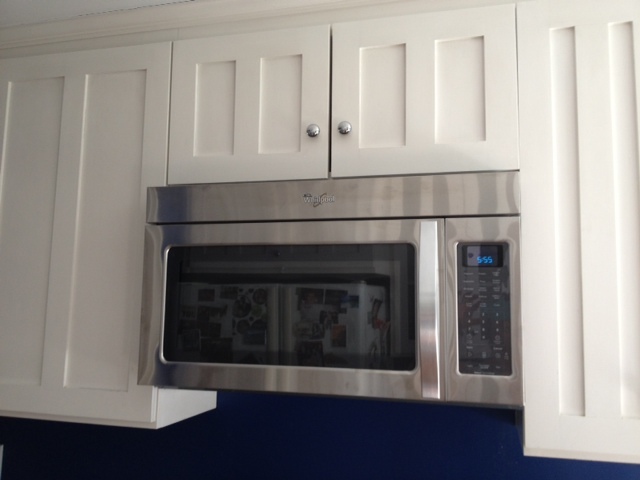 So far, we have updated the 2 least expensive appliances in the kitchen. Next will probably end up being a washer and dryer, but oh do I look forward to a new stove/oven. The house is plumbed for gas, so it will be a life changer!! I’m super excited because I have finished some good projects and will have something posted later this week. 2 posts in 1 week – I know, it’s doesn’t really ever happen! Hope everyone is having a great memorial day! The New Siding is Finished!! I love vicariously owning a home through you and your blog.